Your First Layer of Warmth Next to Your Skin - Polar King Bottoms! Thermal underwear. Long Johns. Long underwear! This garment has been around since the 17th century simply because it works! The POLAR KING Men's Heavyweight Thermal Bottom provides a barrier of warmth between you and the bitter cold. 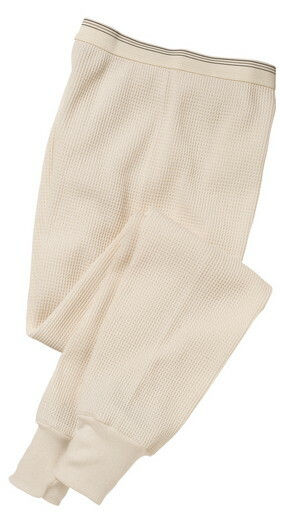 This thermal fabric of high-density yarn keeps warm air in and cold air out. The Soft Cotton/Polyester blend is Shrink Resistant to retain original size, while the waistband and double-thick cuffs keep their shape and maintain warmth and comfort. Don't get left out in the cold without POLAR KING Thermal Bottoms!